Turn it up. Turn it down. The Nest thermostat learns your schedule and the temperatures you like. It keeps you comfortable and saves energy when you're away. 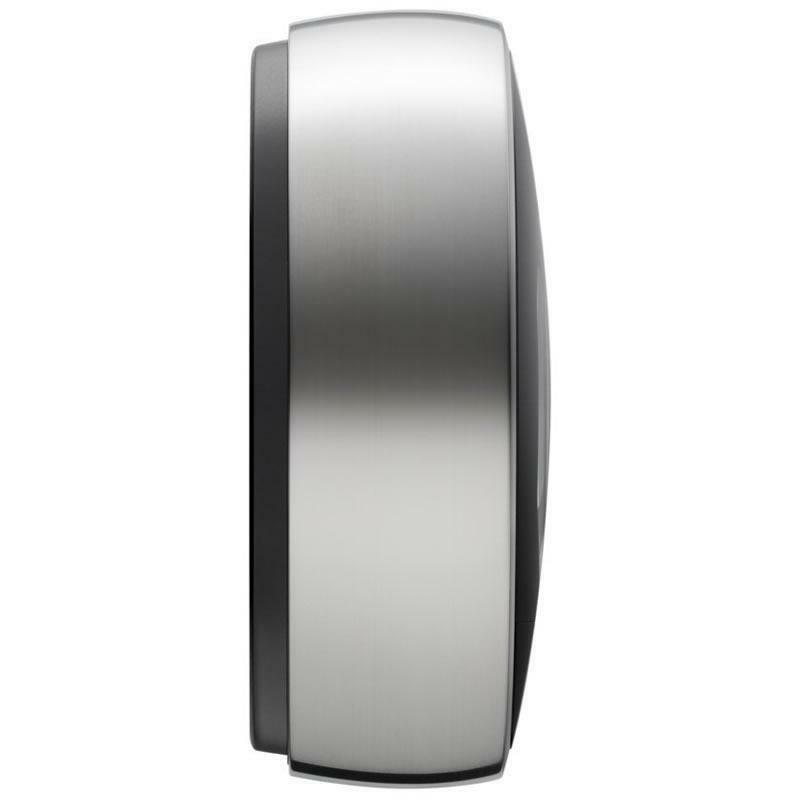 Meet the next generation thermostat. Most people leave the house at one temperature and forget to change it. 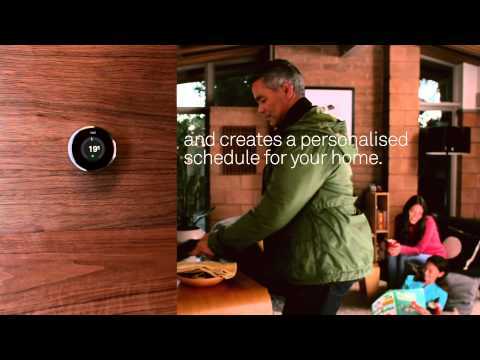 So the Nest Learning Thermostat learns your schedule, programs itself and can be controlled from your phone. 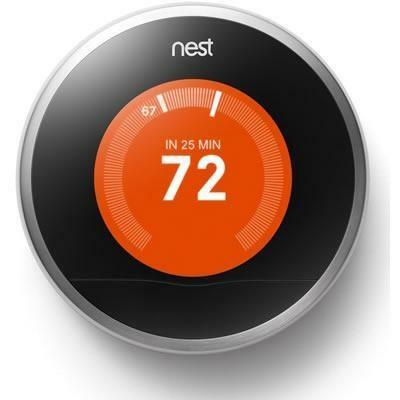 Teach it well and the Nest Thermostat can lower your heating and cooling bills up to 20%. Most people install the Nest Thermostat themselves in 30 minutes or less. Once it’s on your wall, it automatically activates the best features for your system and starts learning about you and your home. 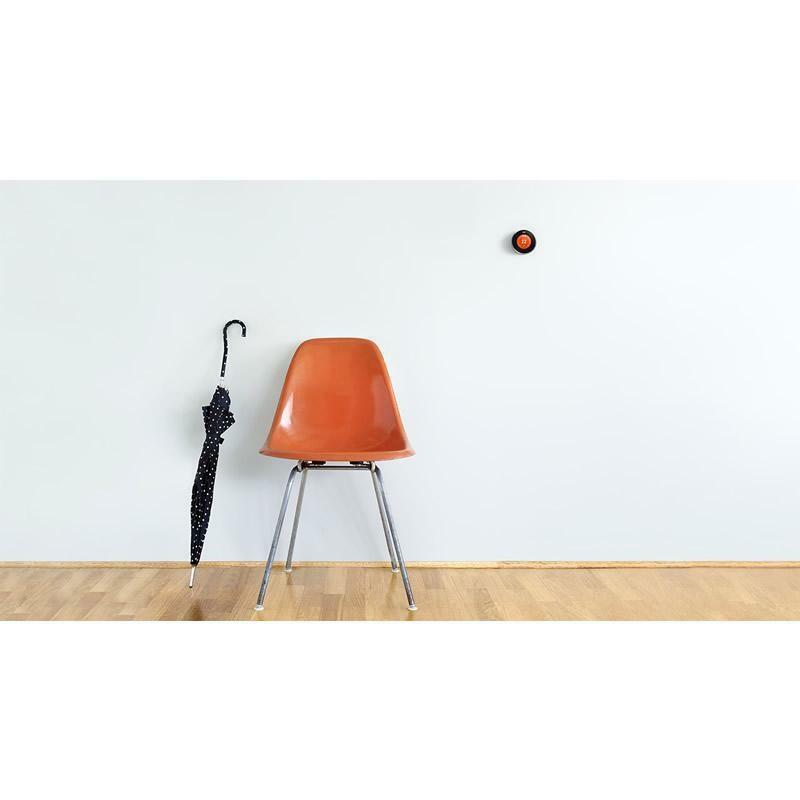 With Auto-Away™, the Nest Thermostat automatically turns to an energy-efficient Away temperature when you’re gone. 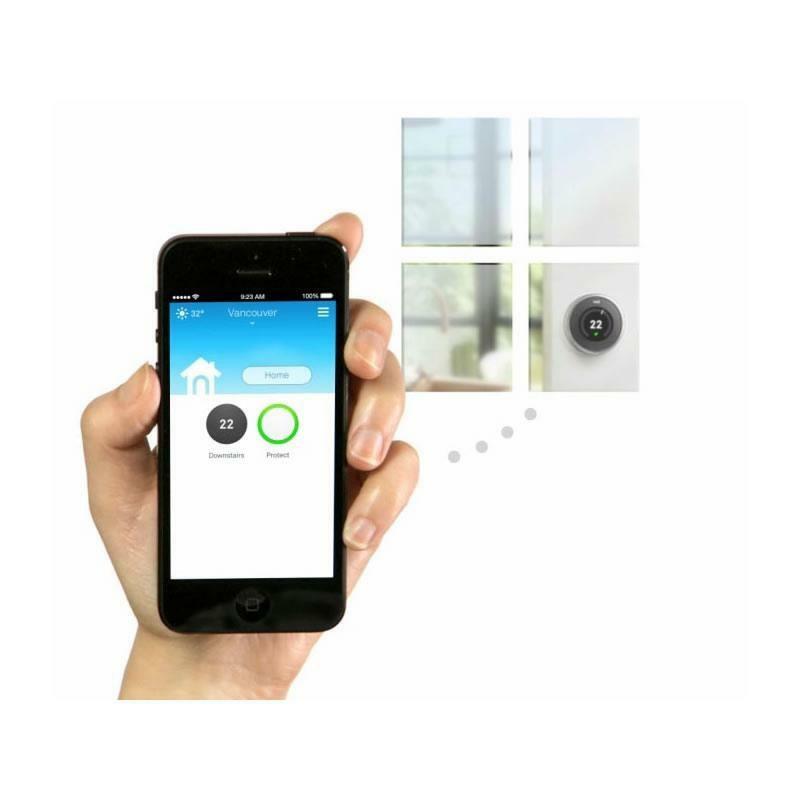 Auto-Away works in 90% of homes, even if your Nest is in a spot you don't pass on your way out the door. 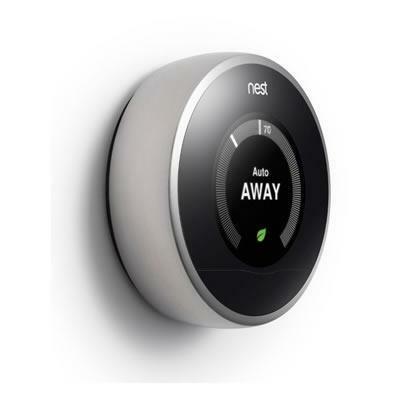 Just connect the Nest Learning Thermostat to your home Wi-Fi and you can control it from your phone, tablet or laptop. Nest's Web and Mobile apps are free so you can change the temperature from anywhere. The Nest Leaf appears when you're saving energy. Changing the temperature just one degree can cut your energy use up to 5%. The Leaf guides you in the right direction. 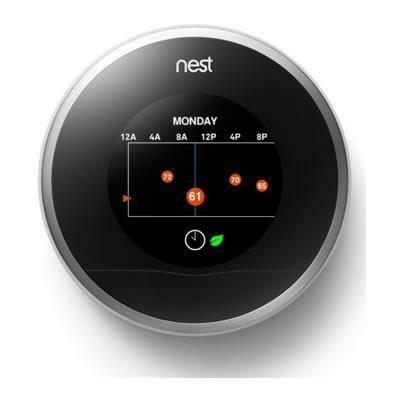 By now, the Nest Thermostat has made a schedule for your home that’s helping you save energy. Change the temperature a few days in a row and Nest will catch on, but one-off adjustments won’t confuse it. Want to refine your schedule? You can edit it in seconds on the Nest Thermostat or remotely using your Nest Account. Now you can see exactly when Nest was on in your home. Turn the temp down from 21° to 20°, then check Energy History the next day. You’ll see how much energy you saved and why. Want the big picture? We’ll email you a monthly Energy Report with a summary of your energy use and tips to help you save. Now that summer’s here, it’s time to switch from heating to cooling. 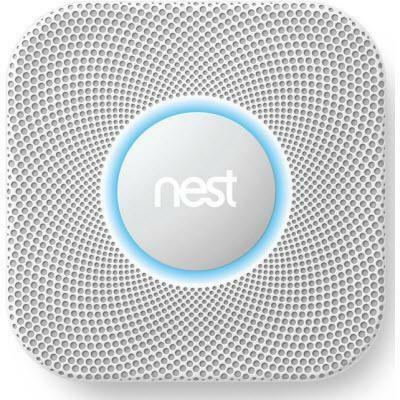 Nest will start building a new schedule, just like it did in your first week. Then Airwave™ can help lower your AC bill. 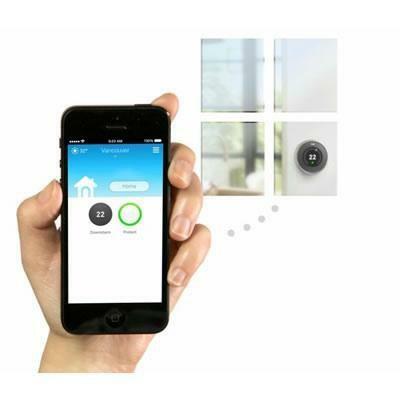 It automatically cuts AC runtime when humidity in your home isn’t too high. Nest is paying for itself. Auto-Schedule makes it easy to create an energy efficient schedule that can help you save up to 20% on your heating and cooling bills. 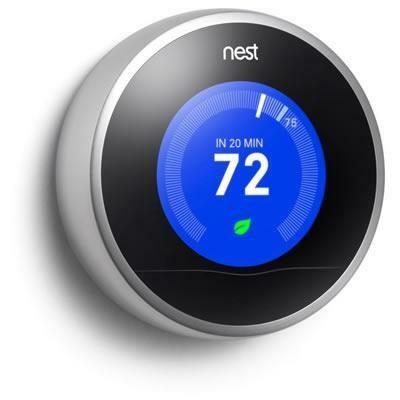 All the Nest Thermostat's features combined can get you even bigger savings. Track savings with your monthly Energy Report. Every month Nest will send you an Energy Report. See how long your system has been running each day and get tips to save more. Turn it up, turn it down. 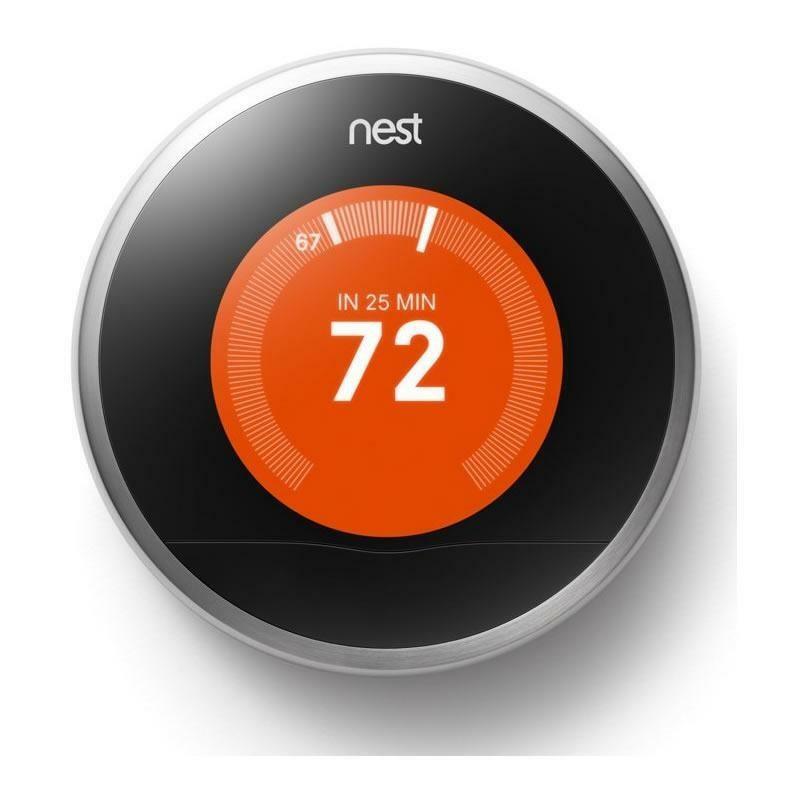 The Nest Learning Thermostat remembers what temperatures you like and builds a schedule for your home. No programming necessary. Go ahead. Forget to turn down the heat or adjust the AC before you leave. With Auto-Away from the Nest Learning Thermostat, Nest will notice when there's nobody home and set itself to an energy-efficient temperature. In many homes the thermostat is in direct sunlight, causing it to warm up. Nest automatically adapts to direct sunlight so it reads and sets the right temperature. Want to know if you’re saving energy when you change the temp? 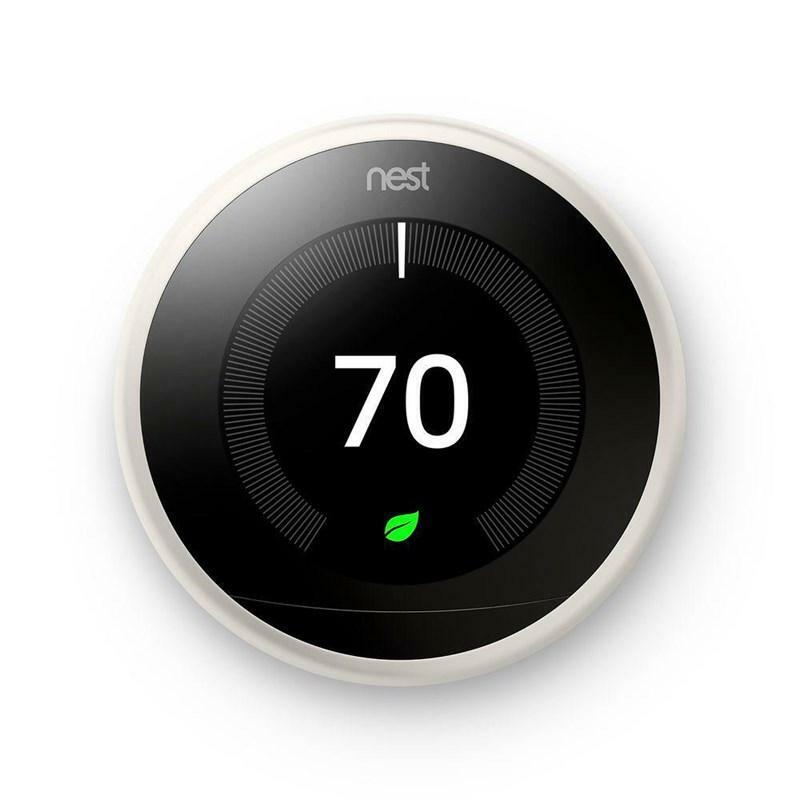 The Nest Leaf appears when you turn Nest to a temperature that's energy efficient. It guides you in the right direction. Time-to-Temperature lets you know how long it will take to reach your target heating or cooling temperature. Airwave automatically turns off the AC a few minutes early, but keeps the fan running. Your AC runs less while your home stays just as cool. Auto-Tune finds ways to lower your energy bill while keeping you comfortable, then automatically does them for you. It powers two Nest services: Rush Hour Rewards and Seasonal Savings. Homeowners in very humid areas need help keeping their homes healthy and dry. Now Nest can use your air conditioner to dehumidify your home, especially when you’re away. 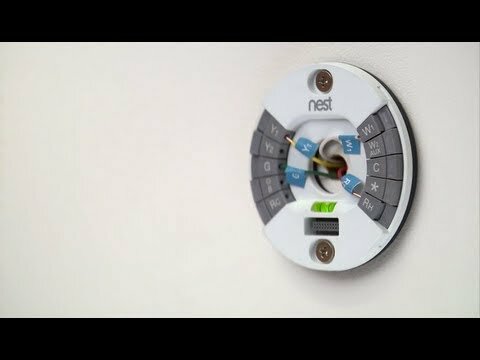 Nest knows one size doesn’t fit all. So you tell Nest what system you have and System Match will turn on specific features to keep you comfortable and help you save. 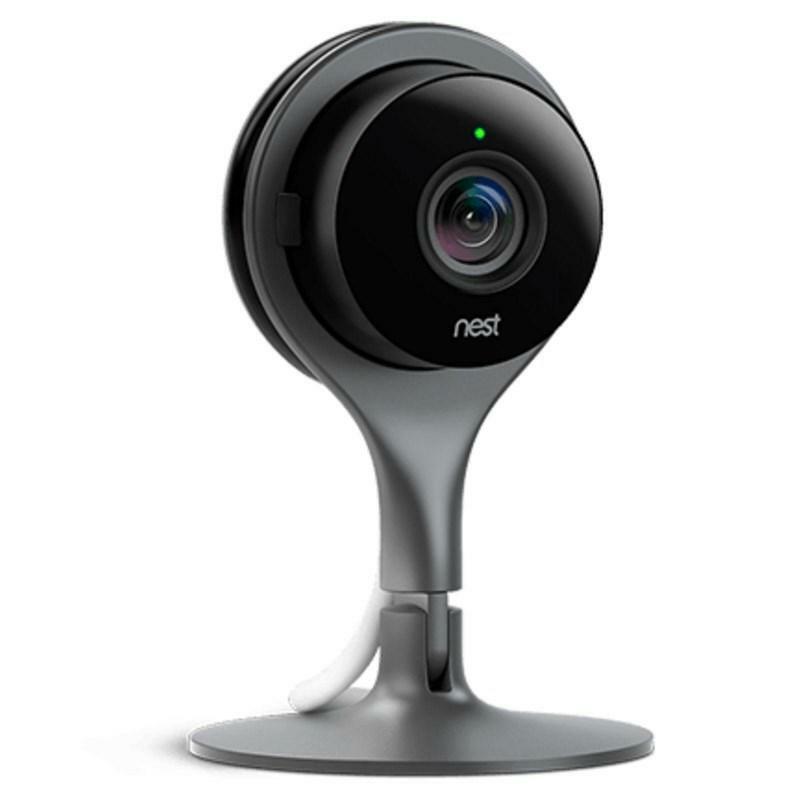 Nest 2nd generation 1080p security camera featuring 24/7 live streaming, can receive alerts on a smartphone while away and night vision helps keep an eye on things around the clock.